From the first appearance of the rebooted Teenage Mutant Ninja Turtles, fans were outraged about how Michelangelo, Donatello, Raphael and Leonardo had been redesigned. Gone were the slender, shelled surfer dudes of the 1990s incarnation. In their place stood hulking CGI monstrosities with meaty lips and a barrage of knickknacks cluttering their costumes. 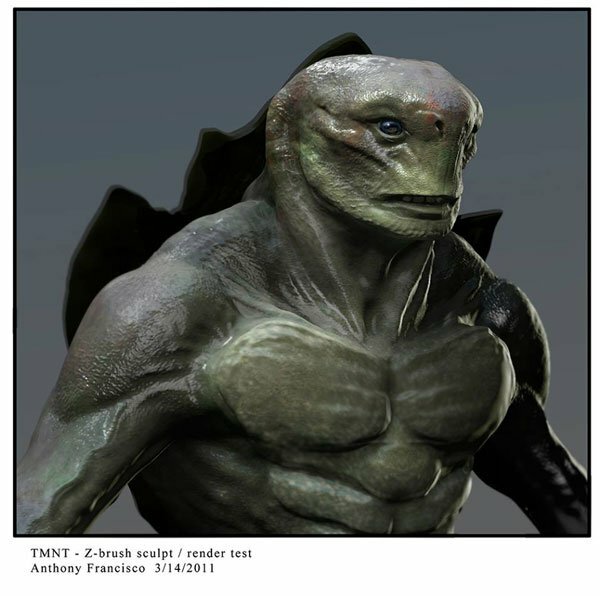 But the heroes on half-shell could have looked radically different. On his Facebook page, Anthony Francisco shared some concept art that he pitched to Platinum Dunes in 2011. Back then, Michael Bay's production company was shopping for a shop to bring the rebooted turtles to life. Francisco contributed to the designs for Illusion Industries, which did not end up booking the job. 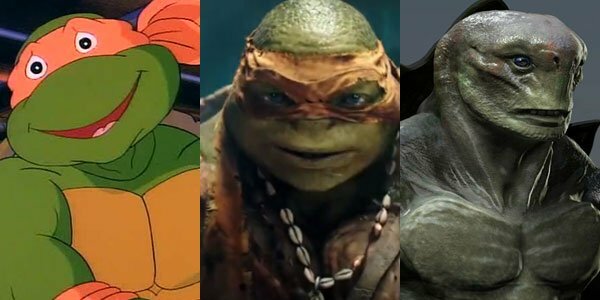 Nonetheless, it's fascinating to look at these and wonder what Teenage Mutant Ninja Turtles could have looked like if they had. 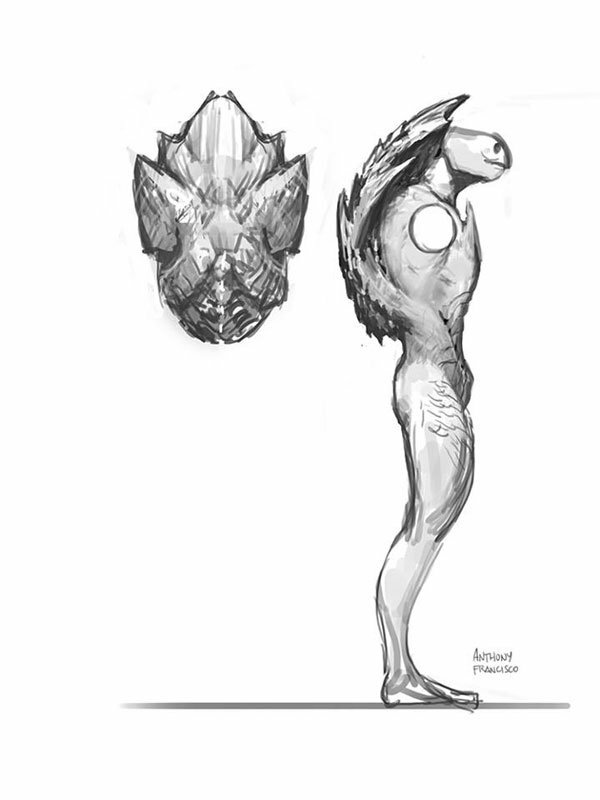 These designs skew closer to their turtle inspirations, but in a way that seems pretty alien. 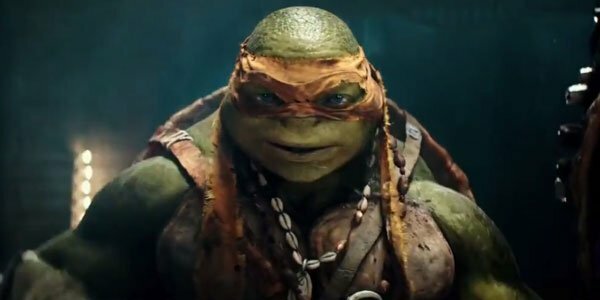 This makes sense as news broke in 2012 that Michael Bay was shaking up the franchise by striking the Turtles mutant heritage in favor of an origin from beyond the stars. 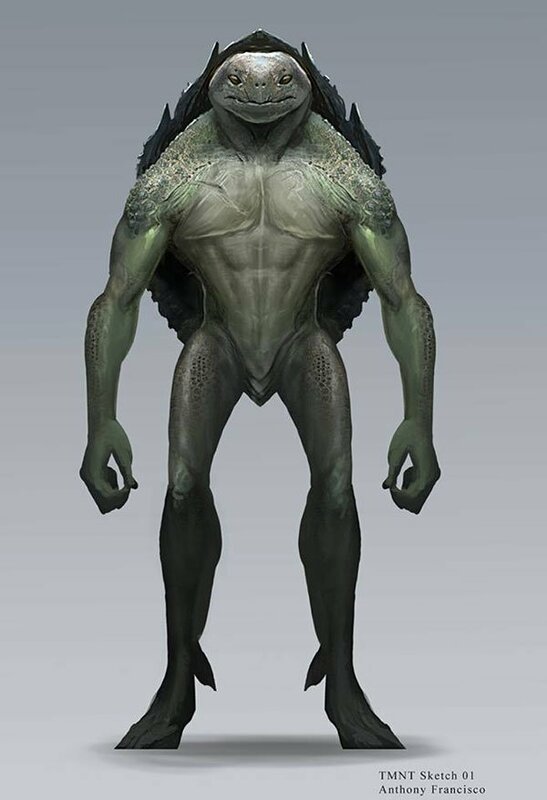 While the eventual movie mocked the idea that the boys were aliens, Bay had said, "These turtles are from an alien race, and they’re going to be tough, edgy, funny and completely lovable." 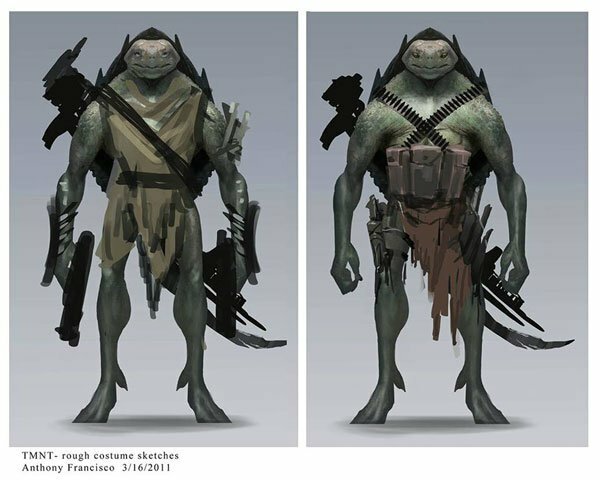 Francisco is withholding about the direction he was given on these designs, but the long legs and shortened torso certainly make the Teenage Mutant Ninja Turtles look less terrestrial. The close up of the face pushes the envelope farther, with nostrils at eye level and a thick cowl-like neck. The other defining feature of Francisco's turtle designs is the shell that starts above the behind and reaches up over the head. His caption for this pick explains, "I wanted to design the shell keeping in mind that they will move like ninjas.. and making sure their body type reflected that. I wanted to try versions where the shell was even smaller, like little backpacks. But maybe I will finish it for my own fan art." The artist went even farther outside the box by casting aside the Teenage Mutant Ninja Turtle's typical martial arts weapons, and strapping them with guns.